PEGGY NOONAN- WHO BENEFITS FROM THE ‘AVALANCHE OF LEAKS’? They seem designed to glorify President Obama and help his re-election campaign. What is happening with all these breaches of our national security? Why are intelligence professionals talking so much—divulging secret and sensitive information for all the world to see, and for our adversaries to contemplate? The Pentagon has built a replica of Iran’s Natanz enrichment plant. The National Security Agency “routinely taps the ISI’s cell phones”—that’s the Pakistani intelligence agency. A “secret” U.S. program helps Pakistan protect its nuclear facilities; it involves fences and electronic padlocks. Still, insurgents bent on creating a dirty bomb, if they have a friend inside, can slip out “a few grams of nuclear material at a time” and outwit security systems targeted at major theft. In any case, there’s a stockpile of highly enriched uranium sitting “near an aging research reactor in Pakistan.” It could be used for several dirty bombs. It’s a good thing our enemies can’t read. Wait, they can! They can download all this onto their iPads at a café in Islamabad. It’s all out there now. Mr. Sanger’s sources are, apparently, high administration officials, whose diarrhetic volubility marks a real breakthrough in the history of indiscretion. EXCERPT FROM THIS ARTICLE: But once Flame was running, it was like something out of science fiction. Flame could watch a target even when he was completely alone. It could listen to every word he said on the telephone, or through Skype, or to a colleague walking past his desk. It could rifle through his computer files and find any document. Or peek into a cell phone sitting in someone’s pocket in the next room. It never had to worry about getting caught in the act. And on a moment’s notice, it could erase any sign that it was ever there. It kept up constant communication with its handlers, even when they were thousands of miles away, and it always followed orders. Last April, the Iranian Oil Ministry and the National Iranian Oil Company noticed a problem with some of their computers: A small number of machines were spontaneously erasing themselves. Spooked by the recent Stuxnet attack, which had wrecked centrifuges in their nuclear labs, the Iranians suspected a piece of computer malware was to blame. They went to the United Nations’ International Telecommunications Union and asked for help. After an initial investigation, it was determined that the Iranians had been hit with a new piece of malicious software; it was temporarily labeled Wiper. Or Viper. After translating the moniker into different languages, no one is quite sure what the original nickname was. The experts from Turtle Bay quickly realized they were out of their depth with Wiper/Viper and contracted a Russian computer security firm, Kaspersky Lab, to help. As the techs at Kaspersky investigated, they began to find bits and pieces of a much bigger program. What they eventually uncovered forced them to put aside Wiper/Viper and send out an all-hands call to the tech community: a cyber-weapon that made Stuxnet look primitive. They called it Flame. Stuxnet was like a guided missile with a targeted payload. It was created to spread rapidly, but always to be seeking a particular set of computers​—​machines made by Siemens and used to control centrifuge operations at a uranium enrichment plant. Once Stuxnet reached its destination, it had very precise instructions: It altered the speed of the centrifuges in such a manner as to slowly degrade the equipment and destroy the uranium they contained​—​all while sending false readings back to the operating console so that neither the computer nor the human supervisors would notice the damage being done. If Stuxnet was like a missile, then Flame is more like a surveillance satellite. ARE WE READY FOR A FINANCIAL CYBER ATTACK? An assault on Estonia in 2007 disrupted banking and other services for over a week. Last week, the European Union revealed that its headquarters had come under a major cyber attack, likely state-sponsored, on the eve of the EU summit. Earlier this month, the French announced that they had been hit with a cyber assault at the end of 2010, probably launched by Chinese hackers, aimed at pilfering sensitive G-20 documents from finance ministry computers in Paris. Last fall, the Nasdaq suffered what looks like an organized-crime attack on a service it provides to corporate executives for exchanging confidential files. But what if e-espionage aimed at the financial sector suddenly escalated into e-war? What if, for example, China, North Korea or Iran initiated a crippling assault against the West’s electronic financial network, where trillions of dollars worth of transactions occur every day? The U.S. is vulnerable to a cyber attack, with its electrical grids, pipelines, chemical plants and other infrastructure designed without security in mind. Some say not enough is being done to protect the country. When a large Southern California water system wanted to probe the vulnerabilities of its computer networks, it hired Los Angeles-based hacker Marc Maiffret to test them. His team seized control of the equipment that added chemical treatments to drinking water — in one day. The weak link: County employees had been logging into the network through their home computers, leaving a gaping security hole. Officials of the urban water system told Maiffret that with a few mouse clicks, he could have rendered the water undrinkable for millions of homes. “There’s always a way in,” said Maiffret, who declined to identify the water system for its own protection. The weaknesses that he found in California exist in crucial facilities nationwide, U.S. officials and private experts say. A neat computer trick won’t stop Iran from getting the bomb. Long before there was the Stuxnet computer worm there was the “Farewell” spy dossier. In 1980, a KGB officer named Vladimir Vetrov began passing secrets to French intelligence. Vetrov was in a position to know the names of a network of Soviet agents (known as Line X) involved in pilfering capitalist technologies, which is how Moscow managed to stay nearly competitive with the West. Col. Vetrov’s Farewell dossier, as the French code-named it, eventually arrived at the desk of an American National Security Council official named Gus Weiss. It was Weiss who suggested to then-CIA director Bill Casey that the West not roll up the spy network right away, but rather that it be played for greater stakes. Thus did the Soviet Union end up on the ash-heap of history. 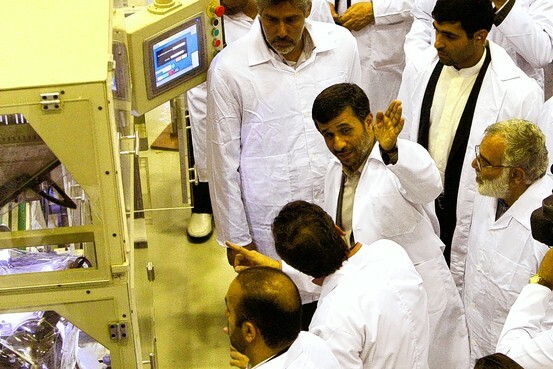 Mahmoud Ahmadinejad at an Iranian nuclear plant. Stuxnet is watching. The Dimona complex in the Negev desert is famous as the heavily guarded heart of Israel’s never-acknowledged nuclear arms program, where rows of factories make atomic fuel for the arsenal. Over the past two years, according to experts familiar with its operations, Dimona has taken on a new, equally secret role – as a critical testing ground in a joint American and Israeli effort to undermine Iran’s efforts to make a bomb of its own. Behind Dimona’s barbed wire, the experts say, Israel has spun nuclear centrifuges virtually identical to Iran’s at Natanz, where Iranian scientists are struggling to enrich uranium. They say Dimona tested the effectiveness the Stuxnet computer worm, a destructive program that now appears to have wiped out roughly a fifth of Iran’s nuclear centrifuges and helped delay, though not destroy, Tehran’s ability to make its first nuclear arms. Once in disrepute, secret warfare is now embraced even by the Obama administration to fight terrorism and weapons proliferation. That phrase went into disrepute in the 1970s, when Congress’s Church Committee exposed hare-brained CIA plots to eliminate foreign leaders, such as assassinating Fidel Castro with exploding cigars. President Ford banned assassinations, a chastened CIA cast many veteran officers into the cold, and Congress imposed new limits on covert activities. From then on the president would have to approve all operations in writing and notify senior members of Congress. There would be no more “wink-and-nod” authorizations. Covert action made a comeback in the 1980s, as the U.S. directed billions of dollars in aid to the Afghan anti-Soviet mujahedeen—the most successful covert action in American history. Yet at the same time President Reagan’s National Security Council was pursuing a crazy scheme to sell weapons to Iran and channel some of the proceeds to the Nicaraguan Contras, so as to bypass a congressional ban on aid to the guerrillas. The Iran-Contra scandal almost brought down the Reagan administration and once again tarnished the reputation of covert action. 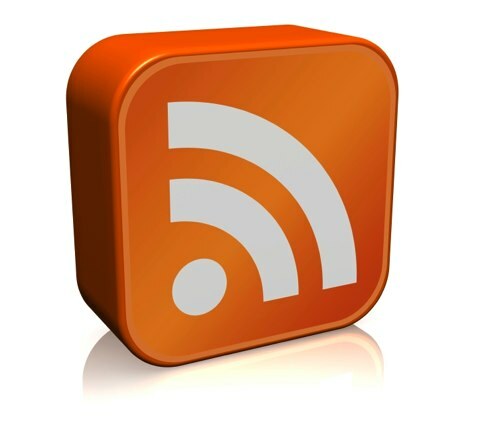 Stuxnet versus the Iranian nuclear program. Last week Mahmoud Ahmadinejad acknowledged that Iran’s uranium enrichment program had suffered a setback: “They were able to disable on a limited basis some of our centrifuges by software installed in electronic equipment,” the Iranian president told reporters. This was something of an understatement. Iran’s uranium enrichment program appears to have been hobbled for the better part of a year, its technical resources drained and its human resources cast into disarray. The “software” in question was a computer worm called Stuxnet, which is already being viewed as the greatest triumph in the short history of cyberwarfare. Stuxnet first surfaced on June 17 of this year when a digital security company in Minsk, VirusBlokAda, discovered it on a computer belonging to one of its Iranian clients. It quickly became clear that Stuxnet was not an ordinary piece of malware.